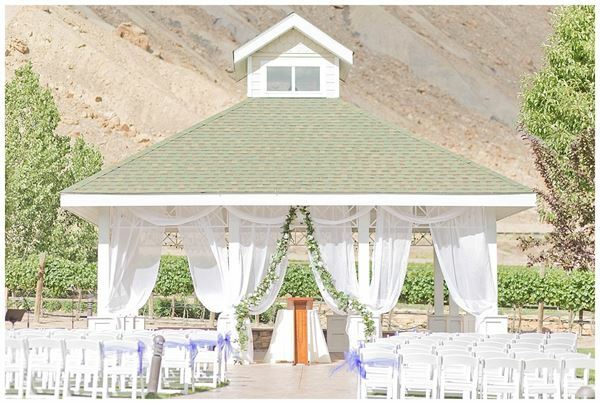 The Wine Country Inn is located in Palisade, Colorado and nestled among over 21 acres of working vineyards which produce world-class grapes that are crushed and bottled as our own private label wine for our guests to enjoy. Our Victorian- style inn is a short drive or bike ride from over twenty wineries and numerous vineyards, orchards, and farms. With spectacular views, endless amenities and exceptional service, the Wine Country Inn is the perfect place for your next vacation, meeting, wedding or event! Please let us know how we can help you plan the trip of a lifetime. Salad Plates | $14 per person • Chicken Caesar Salad • Cobb Salad • Taco Salad Sandwich Plates | $14 per person • Beyond the Border Burrito • Colorado Chicken Breast Sandwich • Chicken Salad Croissant • Deli Sandwich and Soup du Jour • Grilled Cheese Sandwich with Tomato Soup • Pulled Pork Sandwich • Stuffed Pita Nate's Plates | $20 - 34 per person • Apricot Glazed Chicken • Blackened Chicken Alfredo • Braised Lamb Shanks • Prime Top Sirloin Steak • Pork Tenderloin Medallions with Bacon Jam • Lavender Gramolata Crusted Colorado Trout • Maple Honey Glazed Salmon • Rosemary Roasted Pork Loin • Shrimp Scampi • Surf & Turf • Stuffed Portobello Musheoom • Vegan Risotto with Sundried Tomatoes • Stuffed Cabbage with Spicy Marinara Please see attachments for additional information and menu options.